We may have seen the last of zombie-slaying UN investigator Gerry Lane. Variety reports that pre-production on Paramount's sequel to World War Z, the 2013 action hit starring Brad Pitt, is on halt indefinitely. The long-gestating sequel was poised to reunite Pitt with Se7en and Fight Club director David Fincher in what was sure to be yet another battle of the living versus the (un)dead, but it appears as though that won't be the case after all — at least not anytime soon. The original went on to become Pitt's highest-grossing film to date, but its production was notoriously plagued with issues, rewrites, and reshoots, attracting no shortage of negative press long before it arrived in theaters. While the chances of a sequel aren't completely dead, they are extremely low. Although Paramount hasn't issued any official comment, there are several potential contributing factors that could play a role in deciding the sequel's fate. With that in mind, here's a look at some of the possible reasons we'll most likely never see a World War Z 2. Spoilers for World War Z follow. There's an old adage that tells us sometimes, you have to spend money to make money, but evidently, Paramount is unwilling to heed those words in this case. 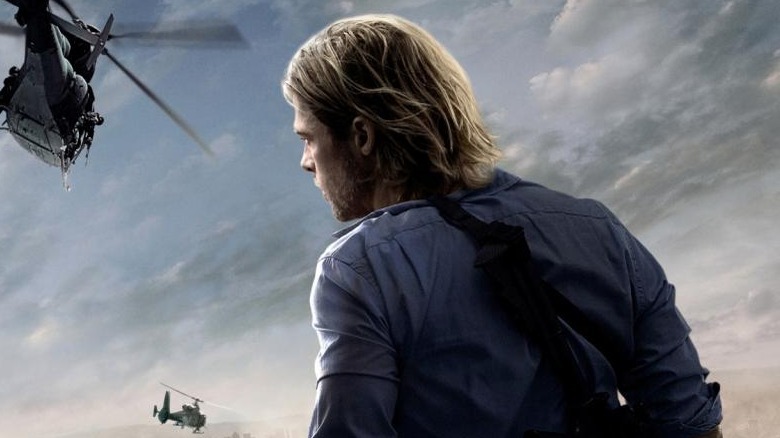 The Playlist reports that although it wasn't the only issue, the budget of World War Z 2 definitely played a role in the film's plug getting pulled. Considering the costs of special effects, shooting locations, and cast salaries (Brad Pitt isn't exactly the kind of actor you can lowball), it's easy to see how the budget for a sequel of this magnitude could skyrocket. 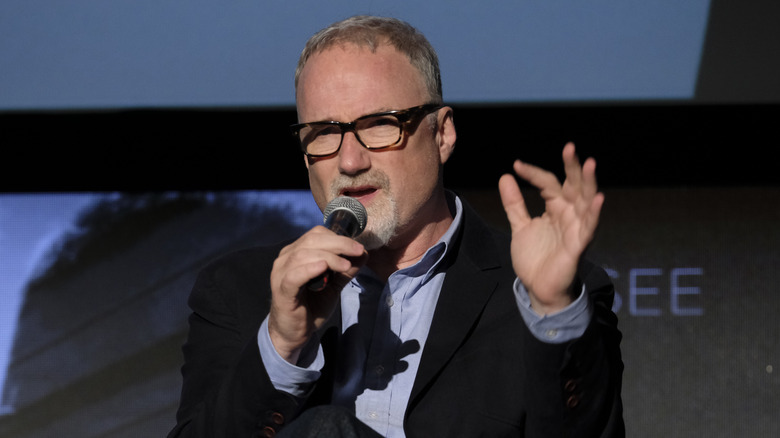 Reportedly, Fincher's team "had been staffing up for a lengthy shoot this year, across five different countries and with a six-month stint in Atlanta." Five different countries? Even for a potential blockbuster movie like this, that's a lot of travel for production. In comparison, Thor: The Dark World, the sequel to 2011's Thor, was almost entirely shot in only Iceland and England, with a reported budget of $170 million (it went on to gross roughly $644 million at the box office). Before asking whether Paramount should make a sequel to World War Z, it's important to first decide if they even could. A good sequel often requires a prior film that's plot leaves a few leftover questions shrouded in mystery. In the case of World War Z, did director Marc Forster's movie leave enough unanswered questions to warrant a continuation? What would that even look like? Fans of the first film will recall that in the final act, Gerry Lane discovers that the infected can't detect human beings suffering from a serious illness or disease. Thus, if a human temporarily doses himself with a disease that has a vaccine, he's essentially invisible to the hordes of zombies. This realization majorly tilts the scales in the "war" against the infected. After all, if the zombies can't see human soldiers, they'll be pretty easy to dispose of, right? Keeping that in mind, how would a sequel to World War Z keep audiences invested in the plot when the humans now have such a clear-cut advantage? While the right creative team could make it work, it would still open the door to a lot of potential plot holes and repetitive action. Brad Pitt is arguably one of the most respected actors in Hollywood, so it should come as no surprise that he's typically in high demand. Between 2004 and 2017, he starred in at least one film every year. He also has a life beyond the camera; he and his estranged wife, Angelina Jolie, have six children to take care of. In addition, Pitt does a lot of work with his own production company, Plan B Entertainment. It's safe to say that he's a busy man. 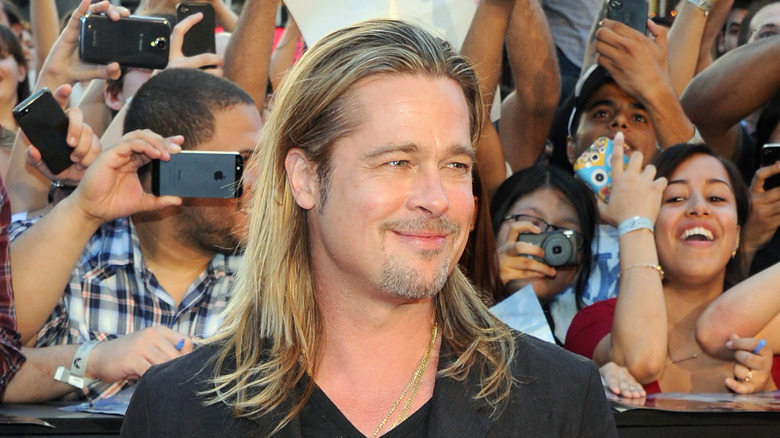 Although Pitt has been a major supporter for a World War Z sequel, his busy schedule hasn't exactly made it easy on the film's production plans. For a good part of 2018, he was shooting Quentin Tarantino's Once Upon a Time in Hollywood, and although filming has since wrapped, it's just one example of how Pitt's ever-changing agenda could make it difficult for Paramount to get anything solid on the books for World War Z 2. Is there an expiration date on the undead? In 2018, Disney/Pixar released the long-anticipated sequel for their 2004 hit, The Incredibles. It took the creative team an astounding 14 years to finally crank out a new story for the Parr family and their superhero antics, but it ultimately proved to be worth the wait, as audiences of all ages came out in droves to see it. Although the long hiatus between the first and second film worked in this case, this phenomenon should be considered the exception, not the rule. A sequel to World War Z would've made the most sense if released two to three years after the original. By waiting so long, many fans' memories of the film have begun to fade, and with it the anticipation of a sequel. At one time, director J.A. Bayona was attached to the sequel, but Universal ended up luring him away to make Jurassic World: Fallen Kingdom instead. At this point, it's been more than five years since World War Z hit theaters, and you have to wonder if that's simply too long to care about what happened to Gerry Lane and his family. If you ask three friends what they thought of World War Z, you'll probably get three different answers. Although critics' reviews were overall generally positive, the film only received a 66% on Rotten Tomatoes, with a 72% audience score. While that's by no means a negative outcome, you have to assume that Paramount was hoping for better marks on a film whose budget ended up being around $200 million. Since reviews are relative, it's tricky to accurately pinpoint a film's popularity using that scale. Perhaps the best way to find a consensus is to hold it up against other films with similar budgets. For comparison, Titanic had a budget of $200 million, and received an 89% on Rotten Tomatoes; Peter Jackson's King Kong had a budget of $207 million, and received an 84%; and Avatar had a budget of $237 million, and received an 82%. Considering that each of those films earned scores higher than 80%, you could make the case that World War Z didn't reach its highest potential. All these years of false starts later, perhaps that played a role in Paramount's decision to shut down production on World War Z 2. After J.A. Bayona left the project in 2017, Brad Pitt pushed for his repeated collaborator, director David Fincher, to take the reins on World War Z 2. Together, the duo's impressive resume includes Se7en, Fight Club, and The Curious Case of Benjamin Button. Once it became official that Fincher was on board, all signs pointed to the film finally gaining some traction. However, that was obviously not the case. UPROXX reported that while waiting for Paramount to get their stuff together, Fincher "went and oversaw two seasons of the Netflix show Mindhunter, some of which he directed personally." Although he hasn't directed a film since 2015's Gone Girl, Fincher has managed to stay busy. And this isn't the first time he's been linked to a major project that never happened, as he was also attached to Disney's rumored 20,000 Leagues Under the Sea in 2014. Since this has now happened twice to the same director, it makes you wonder if planning around Fincher's busy schedule makes it difficult to set anything in stone. 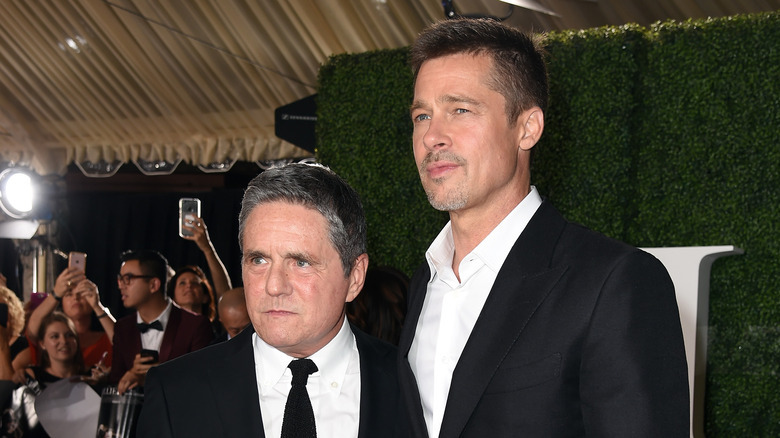 On May 14, 2017, Paramount CEO Brad Grey passed away at age 59 after battling cancer. He was a powerful presence in Hollywood, and his passing took a toll on countless actors and producers in the business, perhaps none more so than Brad Pitt. The two were close friends who, along with Jennifer Aniston, founded Plan B Entertainment in 2001. Grey was even Pitt's manager for a period of time. 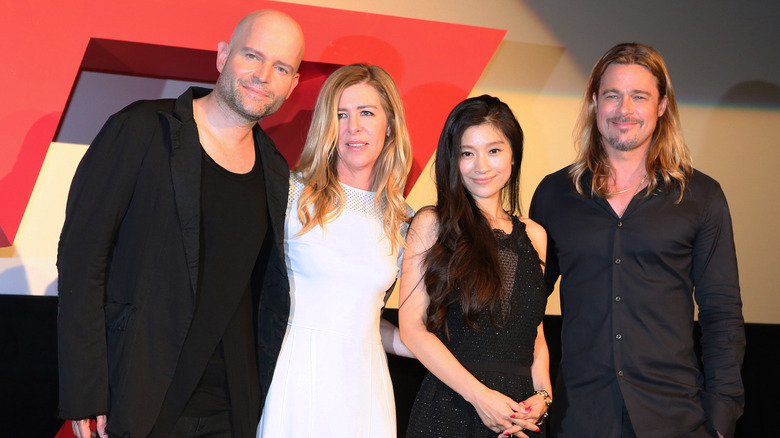 With Grey no longer at the helm of Paramount, World War Z 2 lost a major supporter. If anyone had the ability to make things happen, it was Grey, and his influence kept the hopes of a potential sequel alive. Since his passing, Plan B has moved on from Paramount, signing a new deal with Annapurna Pictures, the production company owned by Megan Ellison. There's a chance that World War Z 2 died with Brad Grey. In October of 2010, The Walking Dead premiered, pushing stories about the undead back into the pop culture spotlight in a major way. The zombie craze might have hit its apex in 2013, influencing video games like Call of Duty: Black Ops and Red Dead Redemption, as well as several movies, including Warm Bodies and World War Z. Everyone seemed prepared for the zombie apocalypse. That was years ago, and times have changed. If you charted it with a line graph, the once-strong heartbeat of zombie popularity would now show a nearly flatlined pulse, indicating that zombie mania has perhaps peaked. With viewers dwindling, does anyone actually watch The Walking Dead anymore? Another good representation of the fading zombie fad could be the results of the J.J. Abrams-produced 2018 zombie thriller Overlord. Although it premiered to positive reviews, it only brought in a measly $41.7 million. 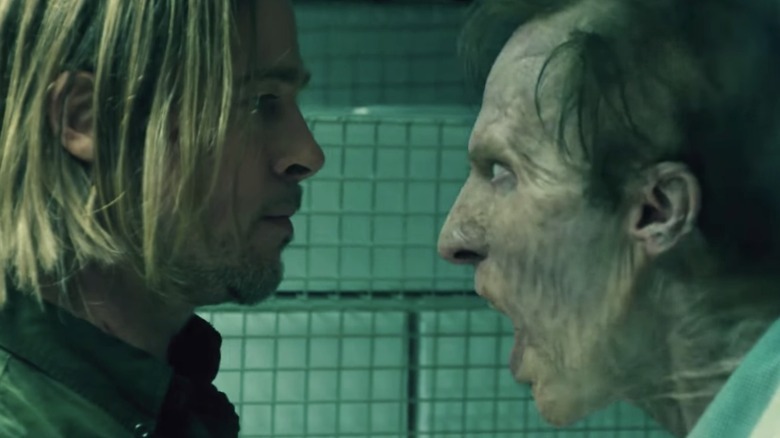 Who's to say that World War Z 2 wouldn't suffer a similarly disappointing fate in a climate so unfriendly for zombies? Contrary to popular belief, movie studios don't have infinite funds. In order to stay afloat, it takes a lot of deliberation to figure out which films studios choose to gamble on. 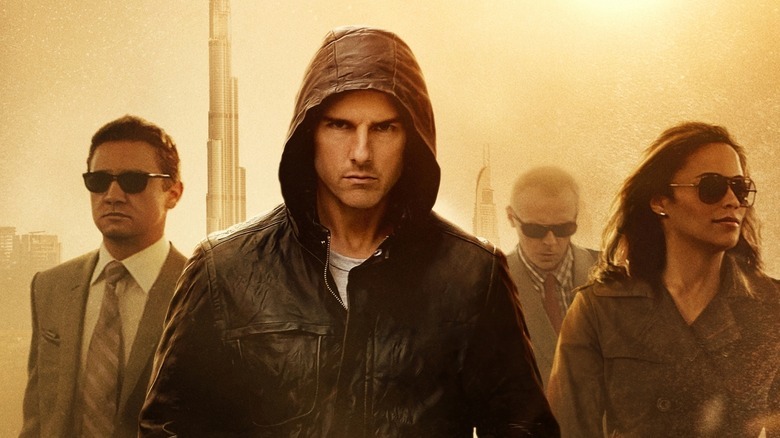 In early 2019, Paramount greenlighted two more sequels in Tom Cruise's Mission: Impossible franchise — the seventh and eighth in the series. Mission: Impossible – Fallout, the franchise's sixth offering, brought in both great reviews and big money at the box office, raking in just shy of $800 million worldwide. While there's definitely precedent for a successful World War Z sequel, Paramount would obviously rather emphasize investments in more of a sure thing. If this was roulette, the Mission: Impossible franchise is the red 22 that's hit on five out of the last six rolls; the World War Z franchise, on the other hand, is the green zero that hit once in 2013 and has been ice cold ever since. Who would you put your money on? Who'd come up with the story? It's not uncommon for authors to dislike the movie adaptations of their books. Stephen King infamously despised Stanley Kubrick's vision of The Shining, P.L. Travers was so disgusted with Disney's take on Mary Poppins that she refused to sell him the rights for the rest of the series, and Anthony Burgess hated the film A Clockwork Orange so much that he allegedly regretted even writing the book. 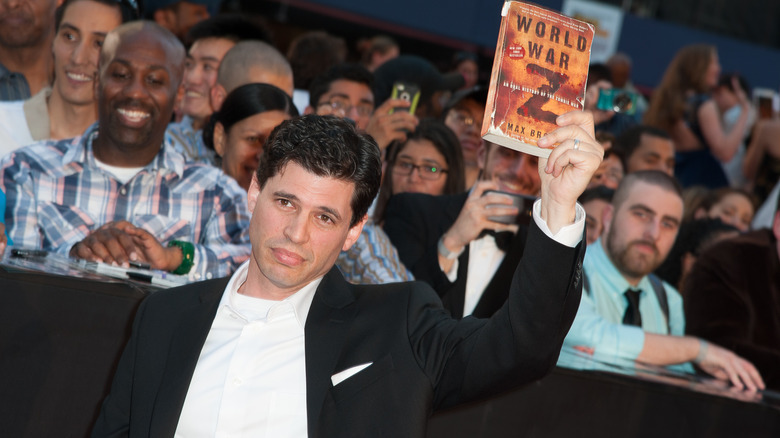 While Max Brooks, author of World War Z, hasn't gone so far as to publicly say he hated the film version of his story, it's safe to assume he won't be assisting in any sequels. The Huffington Post quoted Brooks as pointing out that the only thing his novel — which was written as an oral history of the zombie outbreak depicted in the movie — has in common with its big-screen counterpart is the title. Brooks, the son of acclaimed filmmaker Mel Brooks and actor Anne Bancroft, went on to say that he grew up in Hollywood, so he expected Paramount to make changes; however, the only time he was asked to weigh in on the script was after production had already started. "Why would I read this?" he wondered. "My attitude is if you haven't invited me in to contribute, then fine. Go make the movie you want to make and I'll see it when it comes out." 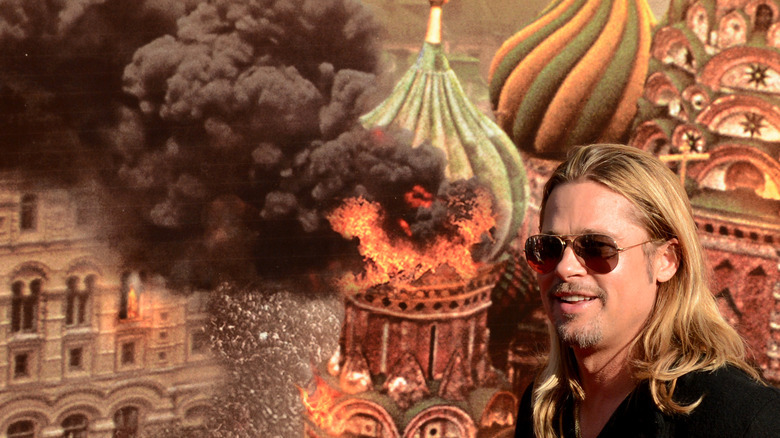 It's no secret that World War Z was a big-budget blockbuster. The film, which racked up roughly $540 million worldwide, started out with a budget of $125 million. However, after an onslaught of behind-the-scenes issues, including costly re-shoots, rewrites, and actor-director animosity, the budget ended up swelling to around $200 million. The studio even had to bring in Damon Lindelof and Drew Goddard to rewrite the entire third act. Those unplanned expenses really influence a studio's perception of a film, and can come back to haunt the project once it's time to start talking about producing sequels. According to Cheatsheet, World War Z actually ranks among the "Top-Grossing Paramount Films That Barely Made a Profit." When you bet big on a blockbuster thriller with one of the world's most bankable stars in the lead, bring in hundreds of millions of dollars at the box office, and still don't fatten the studio coffers, it might be time to cut your losses.